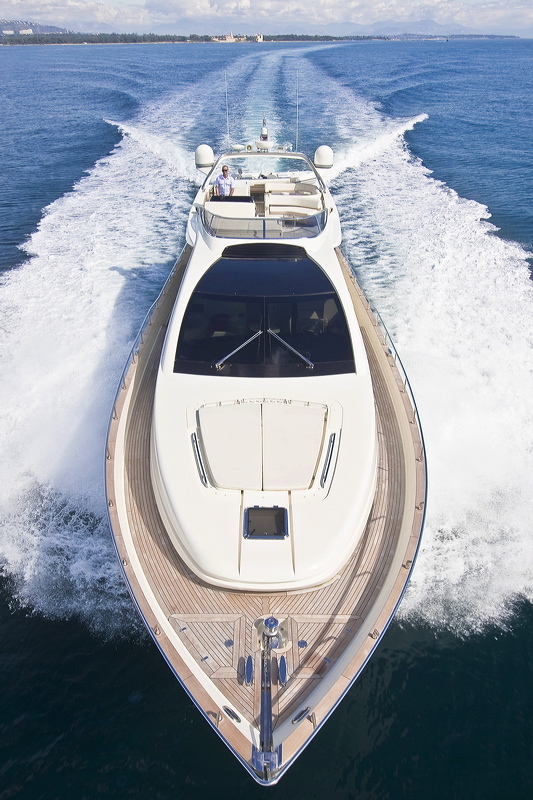 Luxury motor yacht Stingray M is a 23.00m (75' 5") charter yacht built by Riva in 2007. 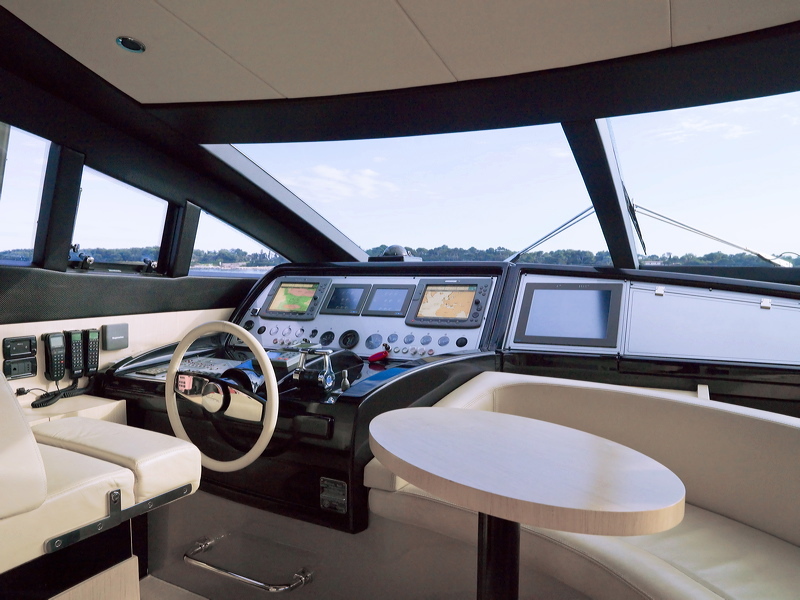 The fast cruising yacht Stingray M is a Venere 75 model that epitomises the style and pedigree of the Riva brand. 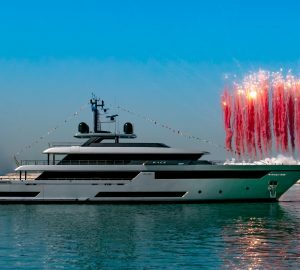 Technical innovation and high quality craftsmanship have come together to produce M/Y STINGRAY M, a yacht that is sleek, sporty and totally luxurious. 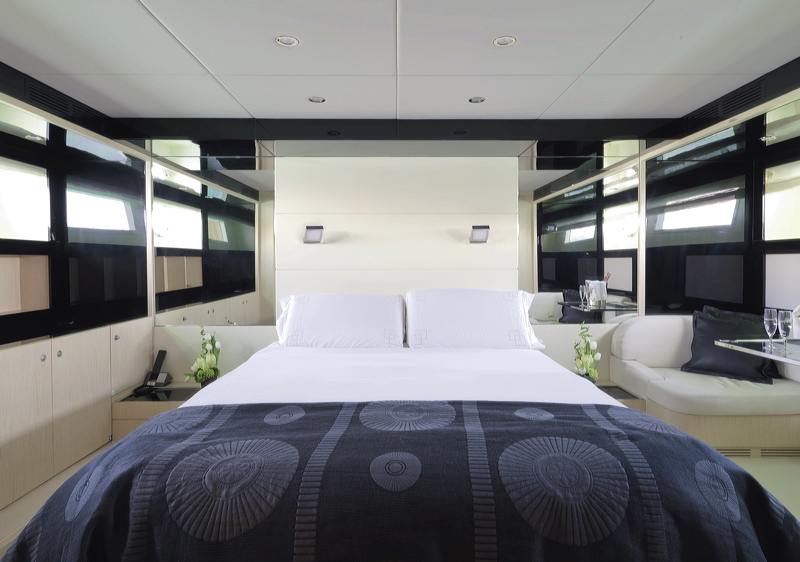 Motor yacht Stingray M’s striking lines are resolutely modern yet reflect a yacht-building tradition that has lasted over 160 years. Large windows and contemporary design combine to produce a light and harmonious interior that is both luxurious and welcoming. 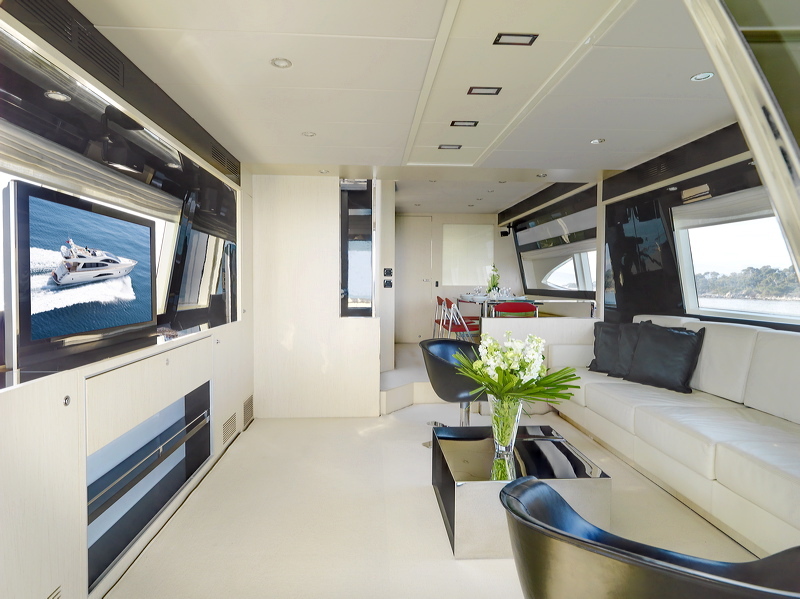 The Stingray M yachts salon located on the main deck is comfortable and bright, with a leather couch to starboard, and a large pop up TV screen to port. 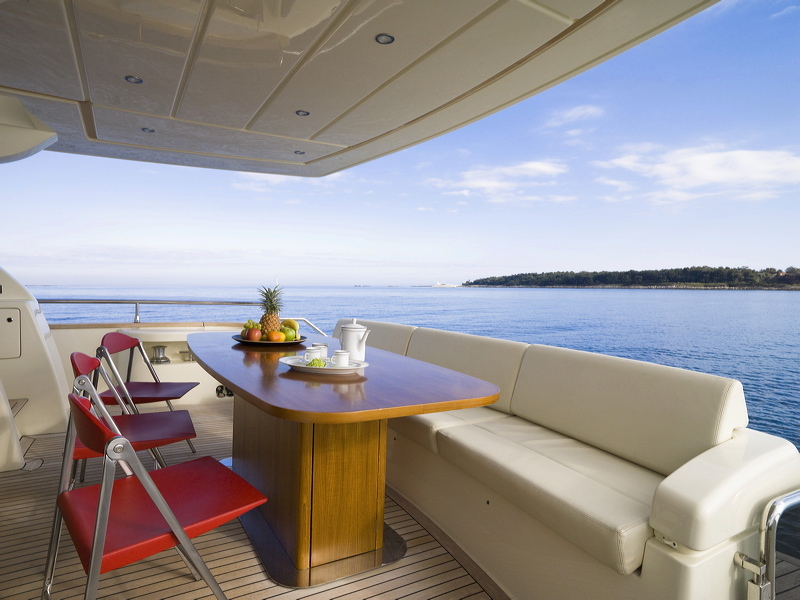 Further forward is a dining area that is easily served by the nearby Galley. All the way forward is another seating area in the bridge, where you can see all of the action taking place. 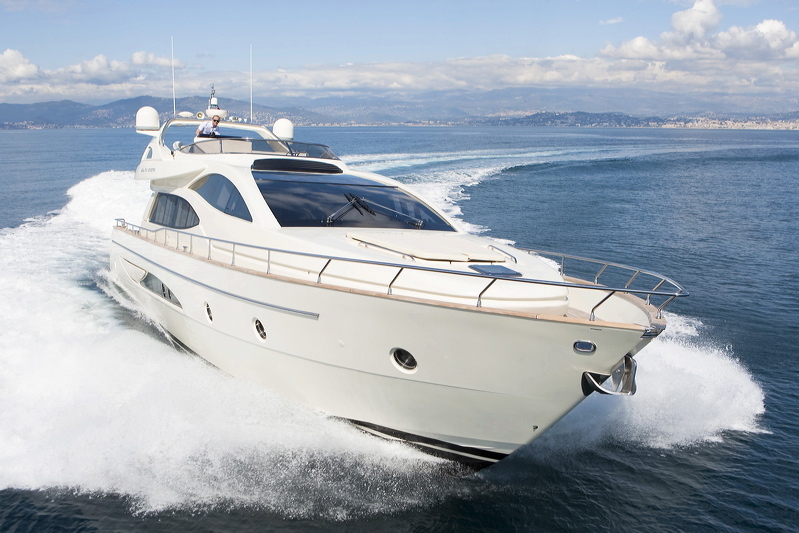 2 x 1524 HP MTU engines. 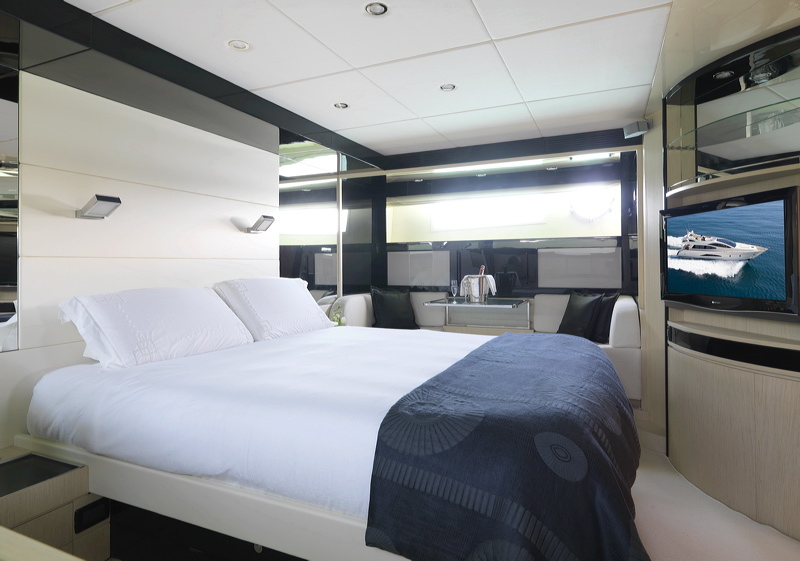 The STINGRAY M motor yacht is able to accommodate up to 6 guests in three beautifully appointed cabins with ensuite facilities located on the lower deck. 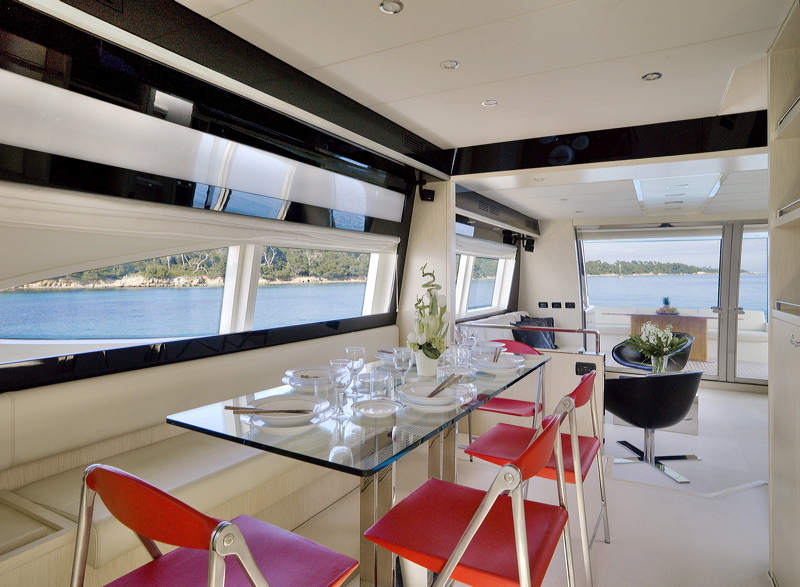 The vast main cabin, spanning the width of the yacht has a study area, vanity unit with foldaway pouf, 30” LCD television and an elegant walk-in wardrobe. 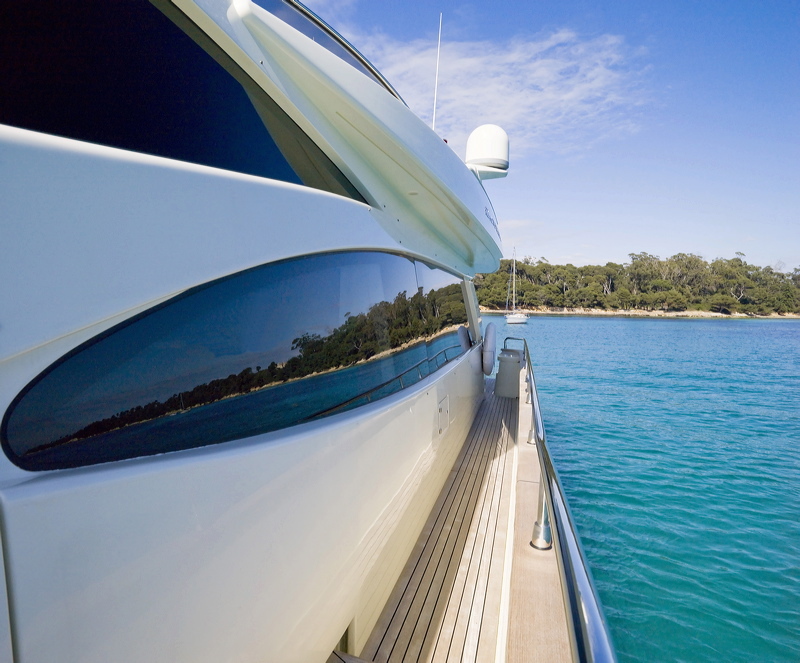 There is an additional VIP cabin located forward and a twin cabin amidships. 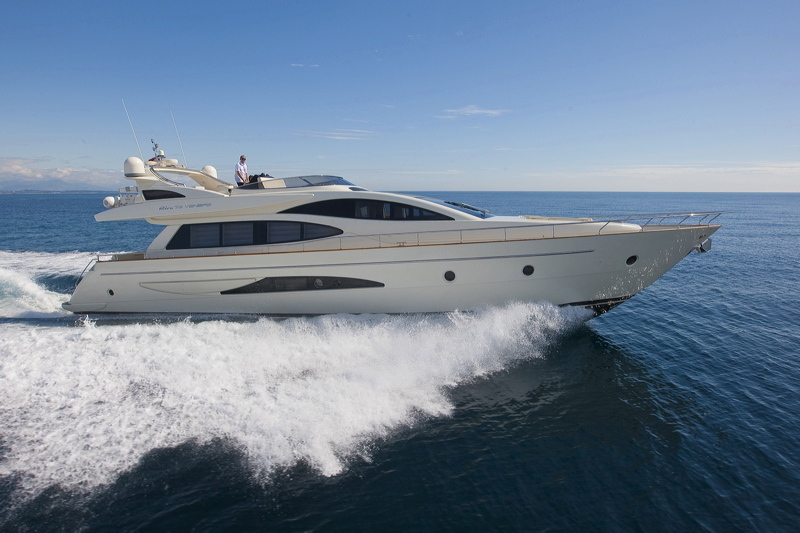 The powerful yet economical MTU engines of the charter yacht Stingray M will whisk you at speed along the French Riviera while you relax on the spacious, comfortable flybridge. 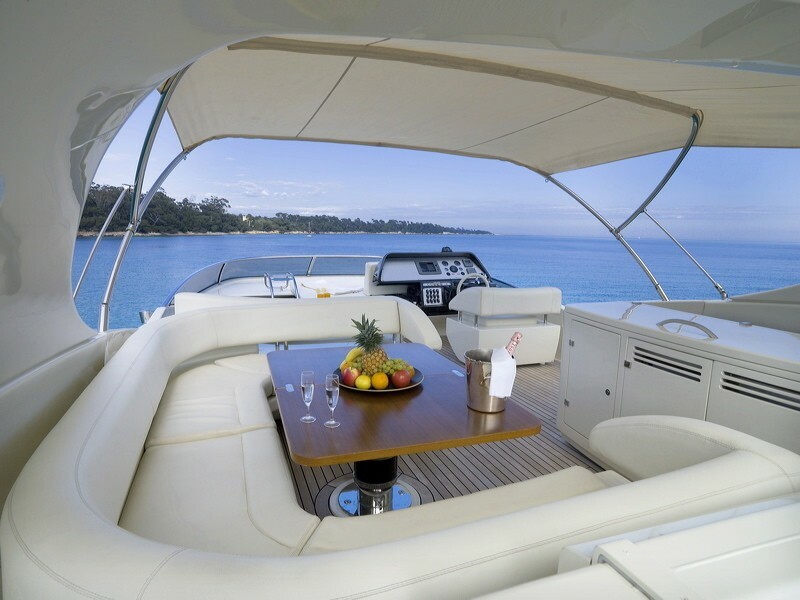 And when you find that perfect anchorage, the fly-bridge offers charter guests ample space and total comfort, with a comfortable, six seater sofa and awning equipped with an electric-hydraulic opening system. The large swim platform offers easy and safe access to the water, to enjoy a relaxing swim or fun on the water sport toys. 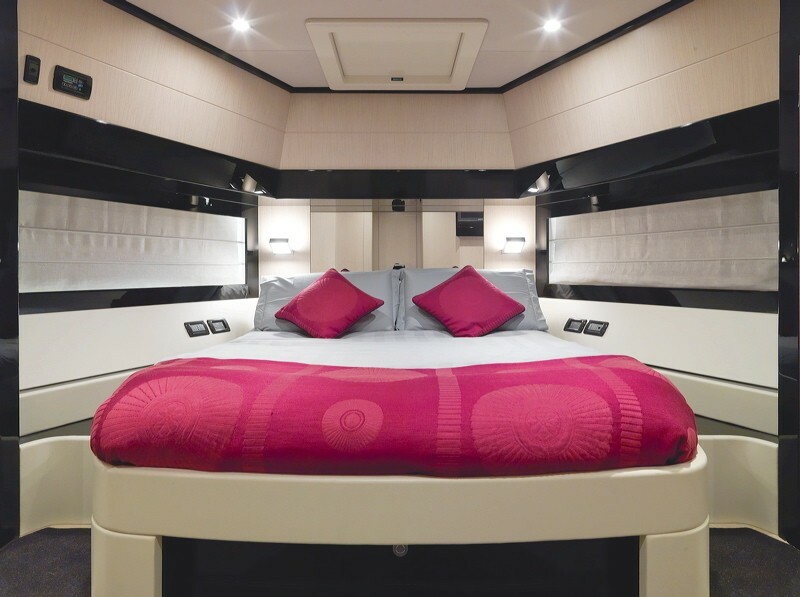 The STINGRAY M yacht built by RIVA can accommodate up to 6 guests overnight in three beautifully appointed cabins. 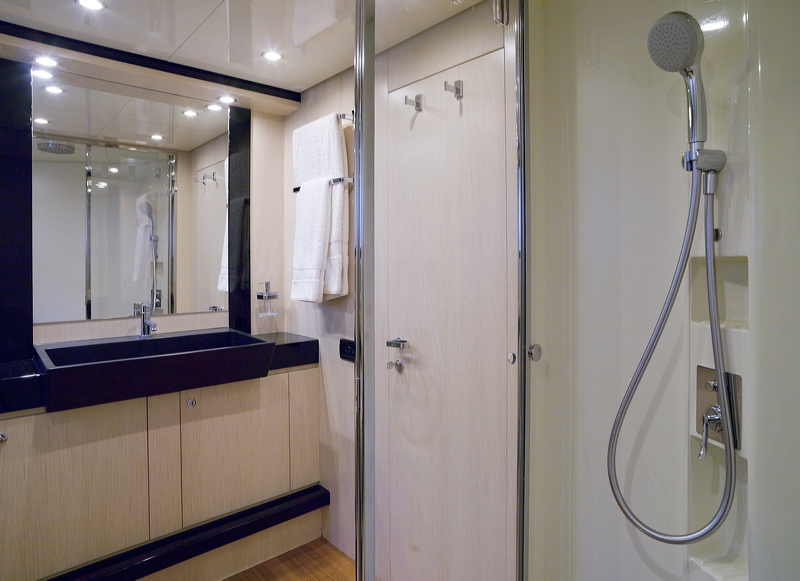 All cabins are located on the lower deck and have their own ensuite facilities. 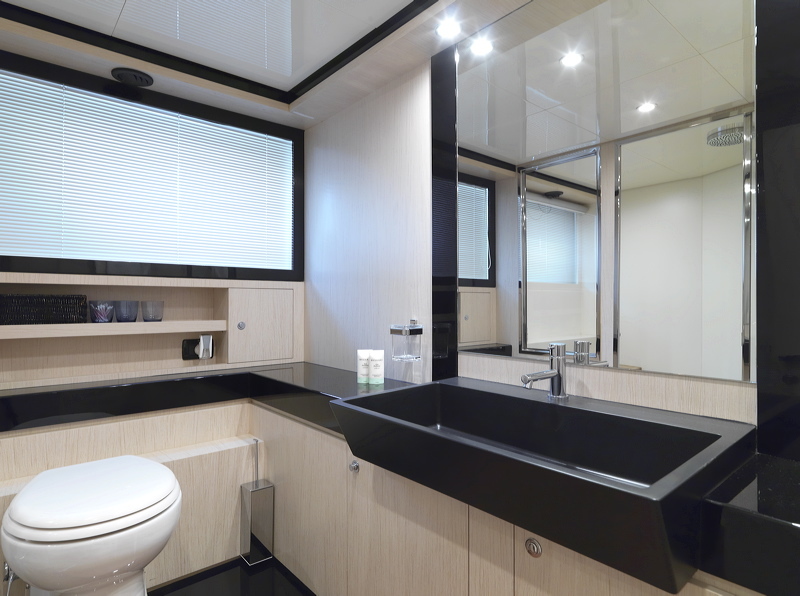 The master cabin spans the width of the beam and has a study area, vanity unit with foldaway pouf, a 30” LCD television and an elegant walk-in wardrobe. 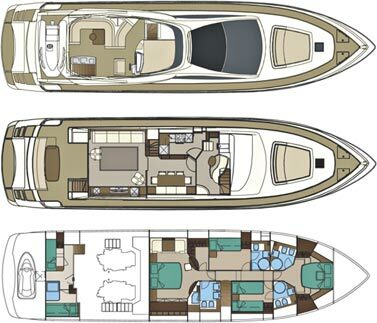 There is an additional VIP cabin located forward and a twin cabin amidships. The Stingray M yacht has the following extras onboard: Tenders & Toys inlcude a 3.50 metre Projet tender with 70 HP jet engine, a Yamaha GP1300R two-man waverunner (1300 hp, fishing equipment. 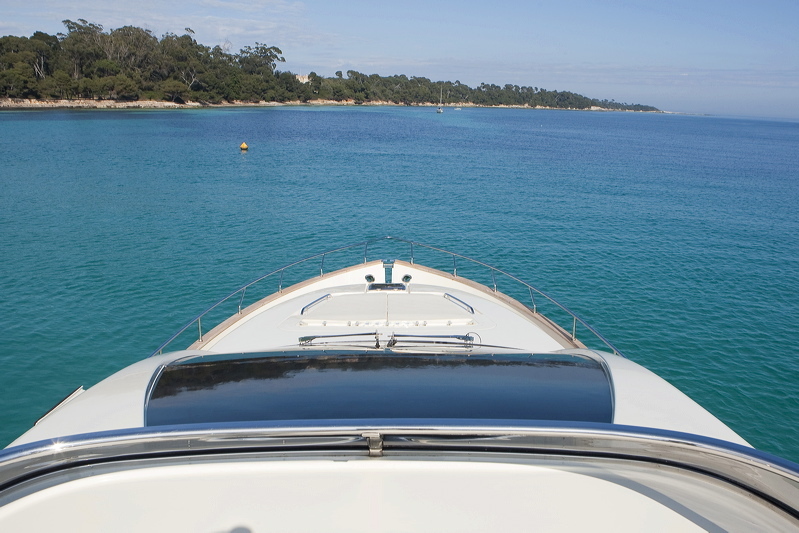 Communications include VHF, radiotelephones, 3G WIFI and GPRS. Satellite phone. 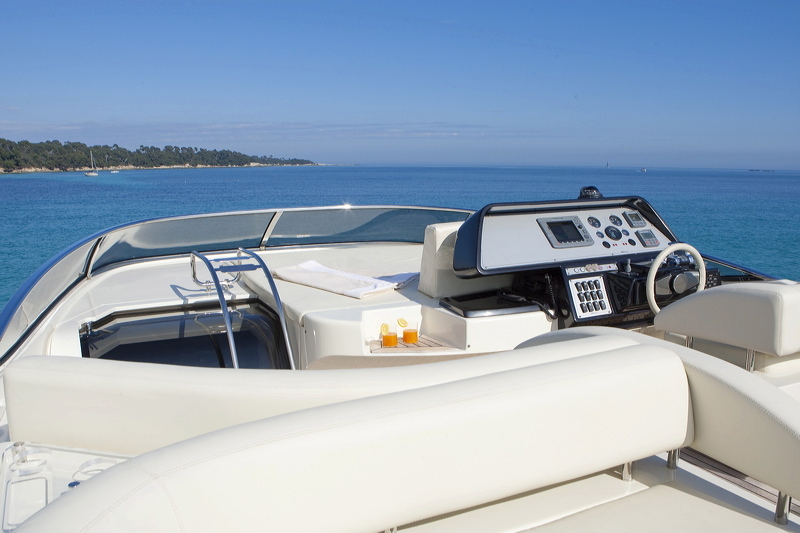 Audio Visual Equipment and Deck Facilities include Bose & Panasonic audio/visual systems throughout. Exterior Bose surround sound system. 1x TV/DVD in Salon with Canalsat (French satellite TV) 1x TV/DVD in the Master stateroom with Canalsat. 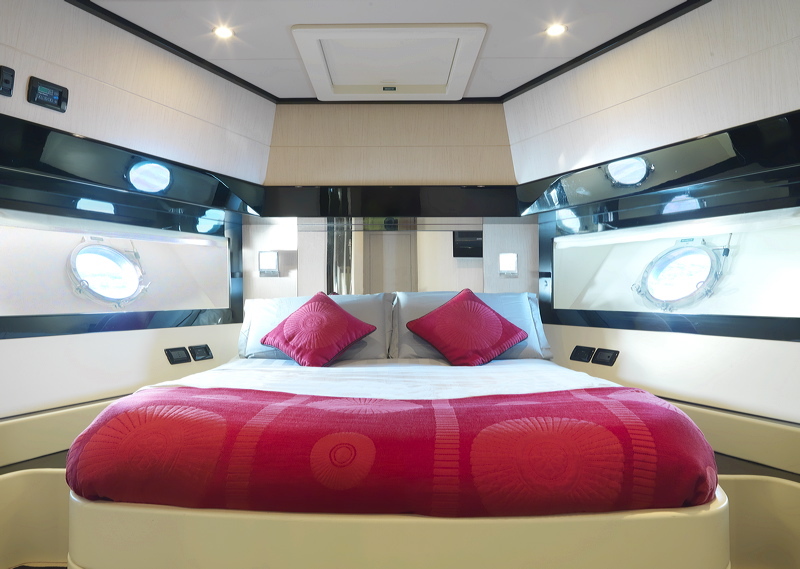 1x TV in each cabin.